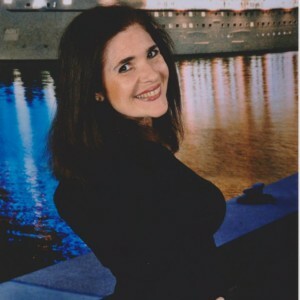 Meet Andrya Bailey, Award Winning Author – Get her latest! Andrya Bailey’s new release in her romance trilogy comes out this month. Olympian Heartbreak is book 2 in the Olympian Love trilogy. What a lovely cover! Andrya Bailey is an award-winning contemporary romance writer who lives in Texas, USA. She enjoys traveling and visiting museums and historical landmarks where she can learn about art and history, which she usually incorporates into her stories. She loves to write love stories with strong alpha males and exotic scenarios – after all, what better fantasy is there? Olympian Passion, the first book in the Olympian Love trilogy, has received the 5-star seal from Readers’ Favorite and is the 2016 New Apple ebook Contemporary Romance – Solo Medalist winner. Her short story “No Inhibition” is featured in the romance/erotica anthology Waves of Passion, by the Houston Writers Guild Press. 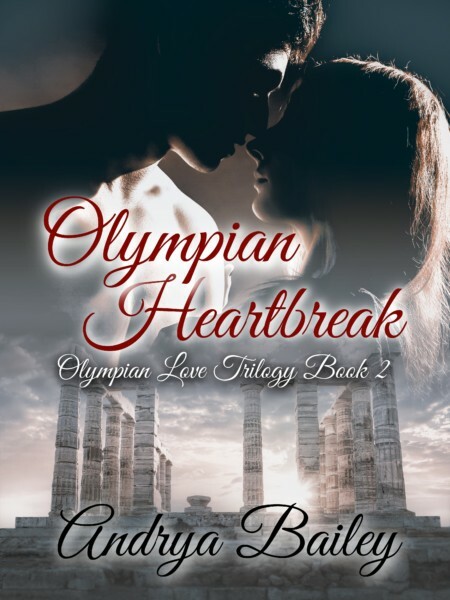 Excerpt of Olympian Heartbreak, book 2 in the Olympian Love Trilogy, coming up July 2017. Olympian Passion, the first novel in the trilogy, is available on Amazon. “What would you do if it was up to you?” I tightened my embrace. Holding my hand firmly, he led the way through the ruins until we found a spot at the edge of the hilltop. Nikos sat on the floor and accommodated me between his legs, wrapping his arms around my waist. Waves of desire swept through me when he kissed me on the back of my neck and nibbled on my earlobes. A moan escaped my lips and I turned my face to kiss his mouth. This setting was the most romantic place I’d ever visited and being with Nikos was beyond incredible. When I looked again at the wonderful scene in front of me, I realized we were not alone. Several people surrounded us, eager to see the amazing sunset. The sun melted into the mirrored surface of the quiet sea, emanating vivid hues of gold and red. The calm, idyllic water swallowed the ball of fire that struggled to remain afloat. Its reflection out of the sea’s depth radiated triumphantly, giving the last surviving rays the glowing ecstasy of its demise. An array of colors that could only be compared to an art museum’s masterpiece painted the sky with the precision of a master’s brush strokes. It prompted not only gasps, but a long bout of applause from the dazed and overwhelmed spectators. It had been the most spectacular sunset I’d ever watched. The tourists were getting ready to leave, but Nikos held me in place and didn’t move until the site was clear. Dusk was settling in and the moon was rising, giving a faint and dreamy lighting to this magical place. After a while, Nikos finally got up and led me towards the entry booth. The security guard was preparing to shut down for the night. He approached the man and they exchanged a few words in Greek before Nikos showed him his ID and a badge. I had no idea what he was talking to the man about but after inspecting his documents, he smiled and shook Nikos’ hands with enthusiasm before bowing at me. After saying something else to Nikos, he left. “Come, let’s go back to the temple,” Nikos said after the man disappeared down the hill. “I got clearance. I’ve got authorization to be at any archaeological site in Greece beyond the regular hours of visitation.” He held my hand as we climbed the steps back to the temple. Darkness had now descended upon us, except for the beautiful glow of the moon reflected on the serene waters of the mystical Aegean Sea. “I remember all the nights I’ve ever spent with you, Nikos. How could I forget any minute? Impossible,” I murmured. When we got to the top, Nikos stopped by one of the temple’s columns facing me. His eyes reflected the moon, shining with desire. He pinned me against the column, and kissed me with passionate hunger. I surrendered at once, opening my mouth to receive his ravenous kiss and buried my fingers in his hair. He slowed the pace to a sensual rhythm until his lips nibbled on mine. When he lowered his head to nuzzle against my neck, his breathing was heavy. His fingers traced the contour of my shoulders, lifting the straps of my dress. They slid down my arms, baring my upper body.